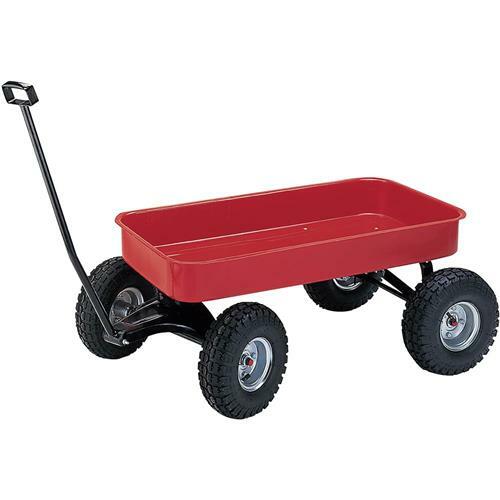 Not just for kids (although they'll appreciate it too), this heavy-duty wagon is great for hauling just about anything. Large pneumatic wheels with aggressive tread smooth out any terrain. Overall size of entire wagon is 40" L x 19-1/2" W x 15-1/4" H. Overall wagon bed size is 33" L x 15" W. Shipping weight approx. 29 lbs.